The weather has changed in London over the last month since we had an epic (and unprecedented) heatwave in July and August. 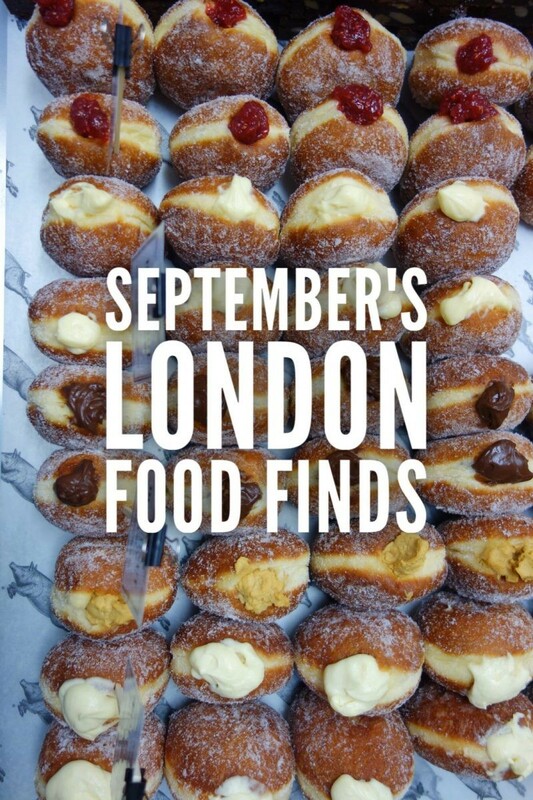 September’s London food finds are full of hearty, warming, comfort foods to get you in the mood for big jumpers and cosy fireplaces. Enjoy. 1.Wine & Cheese, Searcy’s by St Pancras. St Pancras has to be one of the most beautiful buildings in London. Plus it’s where the spice girls filmed their first video and in my eyes, it doesn’t get better than that! If you’re looking for something a bit different and a bit special, Searcys by Pancras has a champagne bar actually in St Pancras station right next to the Eurostar. 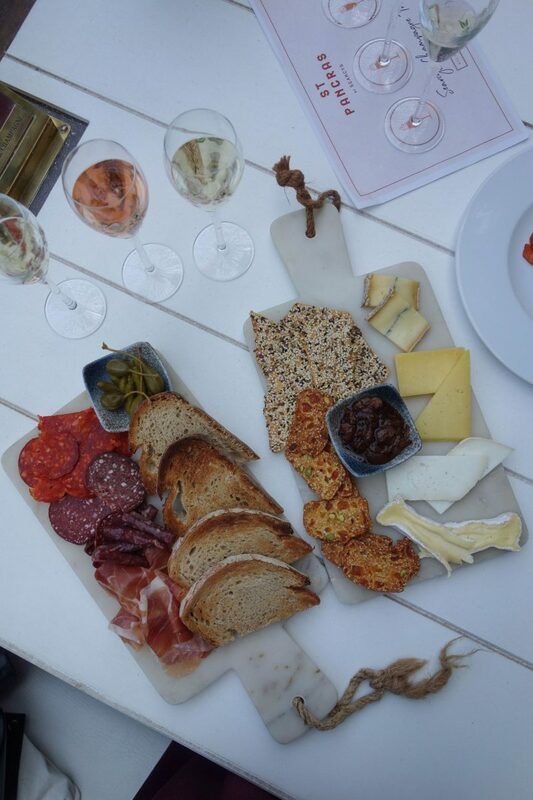 As well as lots of beautiful champagnes they do a small menu of snacks and things to share like these cheese and meat boards below. It’s sophisticated, interesting and a really unusual place to treat yourself or a friend. 2. Doughnuts, St John’s Bakery. St John are a quintessential British restaurant that first opened up in East London in 1994. Their main focus is on nose to tail cooking and cuts of meat that are rarely seen in restaurants such as pigs’ ears, ducks’ hearts, pig’s trotters. What the hell has any of this got to do with doughnuts I hear you say? Well, St John has always had fresh, handmade doughnuts as part of their menu but now they have expanded and opened up a small bakery in Covent Garden. 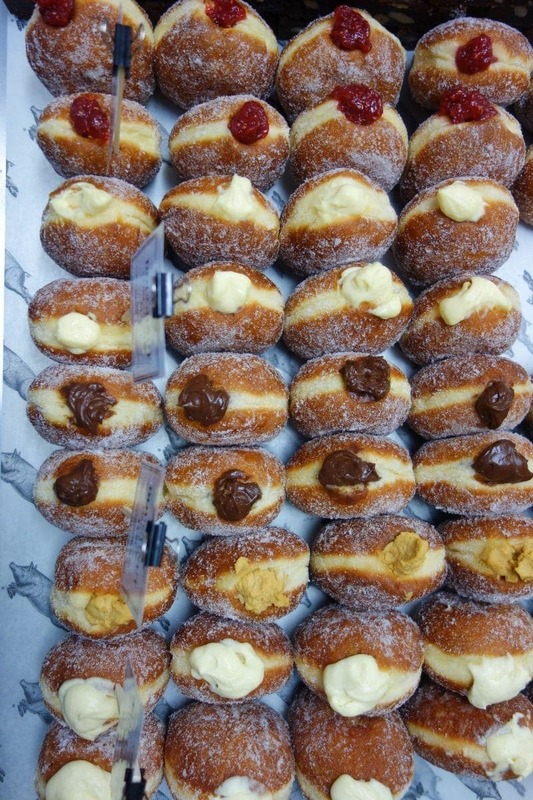 The counter is packed full of their famous doughnuts oozing with filling, as well as piles of fresh pastries and their signature sourdough bread. A great one to pop in for a treat. 3. Small plates (& sticky toffee pudding! ), Brother Marcus. I’d been to Brother Marcus before for brunch (which you can see here) and if someone would have told me how good the dinner is I wouldn’t have waited this long to pay them a visit. 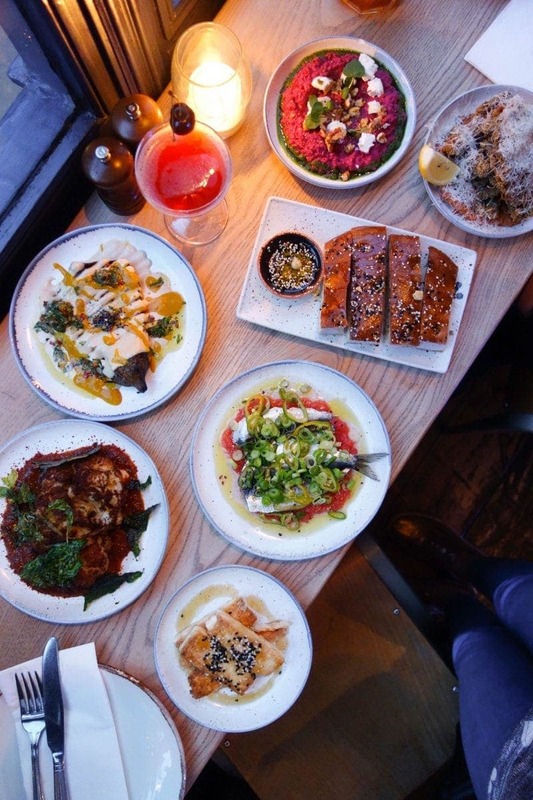 The food is middle eastern inspired and the best way to experience it is to get loads to share. A few dishes below are the baked aubergine, fried chicken and a whole baked cauliflower (which was my fav!) sat in the most delicious sauce. Everything is jam-packed with sweet, savoury, salty and spicy flavours and there’s nothing boring about it. 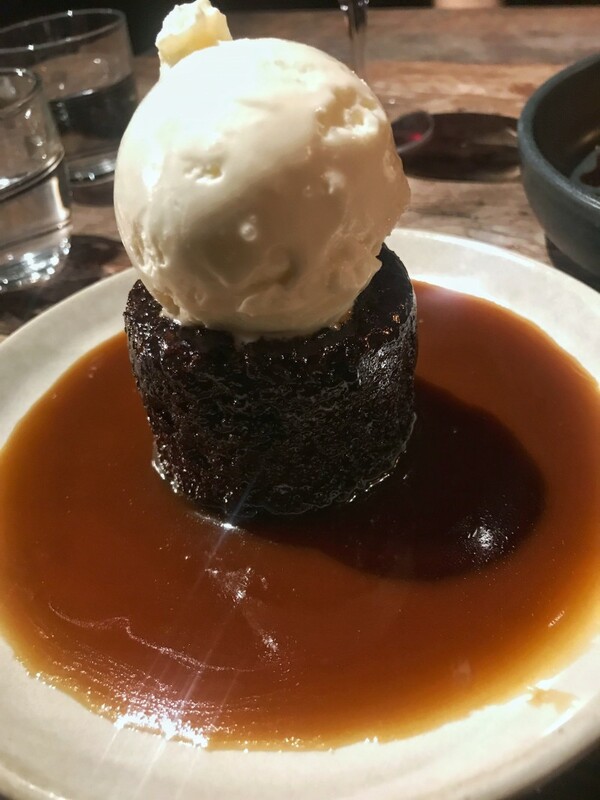 Don’t EVEN get me started on their sticky toffee pudding – dark, rich and intense and a little bit boozy. They have two branches, one north and one south so all bases covered! A great one for friends, wine and ending on the sticky toffee high! 4. 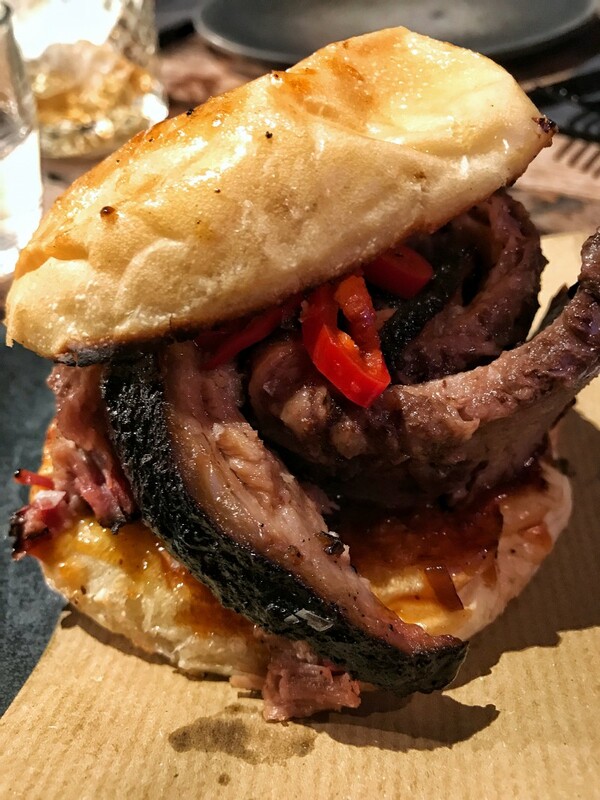 All the meat, Smokestak. 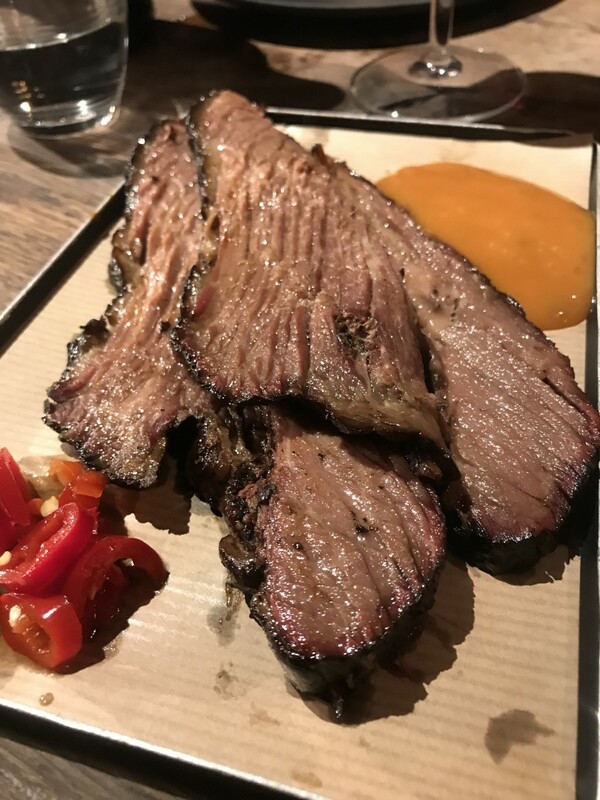 If I could describe Smokestak in 3 words it would be SERIOUS MEAT COMA. They’re an edgy smokehouse in East London who’s rustic wooden tables and open fire pit that screams look how cool I am. Fortunately for us they’re not just style over substance and Smokestak brings substance by the shed load. In terms of the menu, they’re not your average BBQ Joint and dishes are so much more than just a plate of ribs. 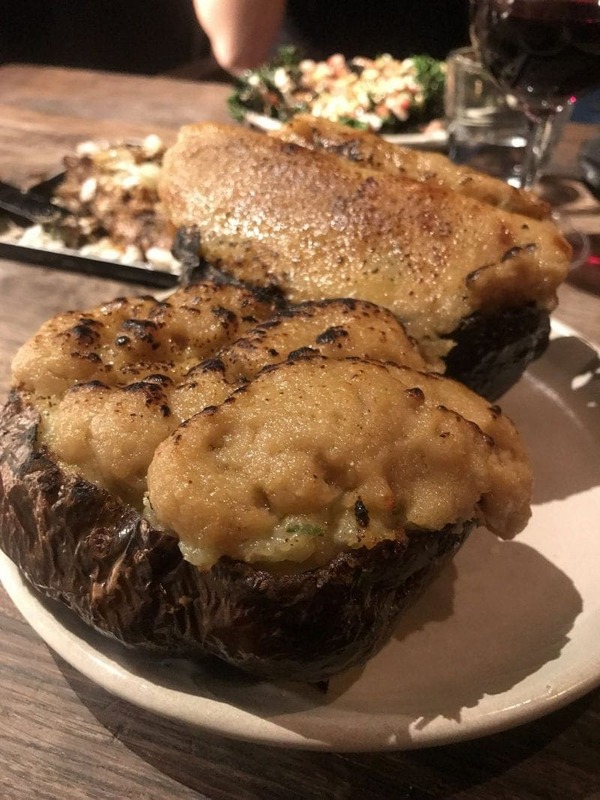 Vegetarians, you’re not totally left out in the dark and some would argue the welsh rarebit baked potato piled high in cheese and kale salad (which is so much more interesting than it sounds) are just as good as the meat dishes. That someone is me and they are bloody delicious. 5. 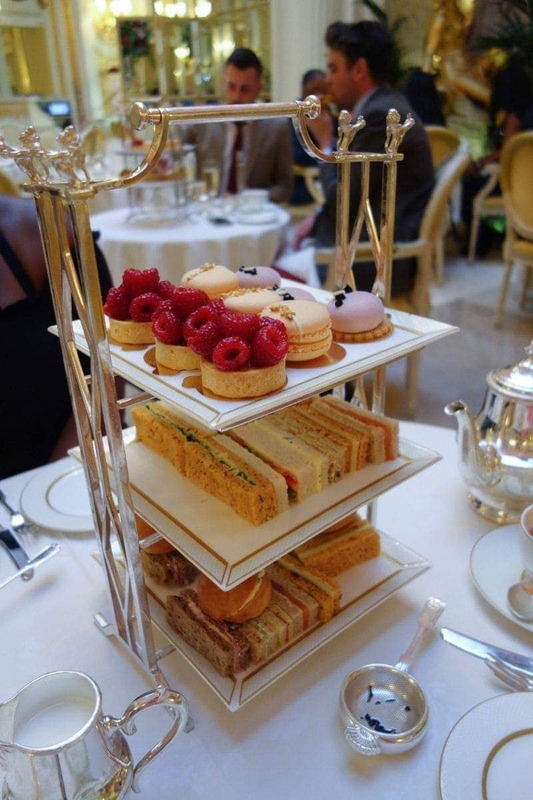 Afternoon Tea, The Ritz. If you read this blog, you’ll know that I recently had my 30th birthday and celebrated with afternoon tea at the Ritz. It’s something that’s always been on my list and thankfully it didn’t disappoint. With this kind of thing there’s always the worry it’ll be style over substance but believe me, it’s not. The setting is incredible, the service was impeccable and the afternoon tea …. well just look at it. It tasted just as good as it looks and the scones were the lightest thing I’ve ever eaten. There are more pictures on this post if you want to see the whole afternoon and I highly recommend you try it for a special occasion! Crust Bros is pizza for the fussiest of eaters. The menu is essentially a huge ‘build your own’ list that comes with a pencil and you tick whatever you fancy. 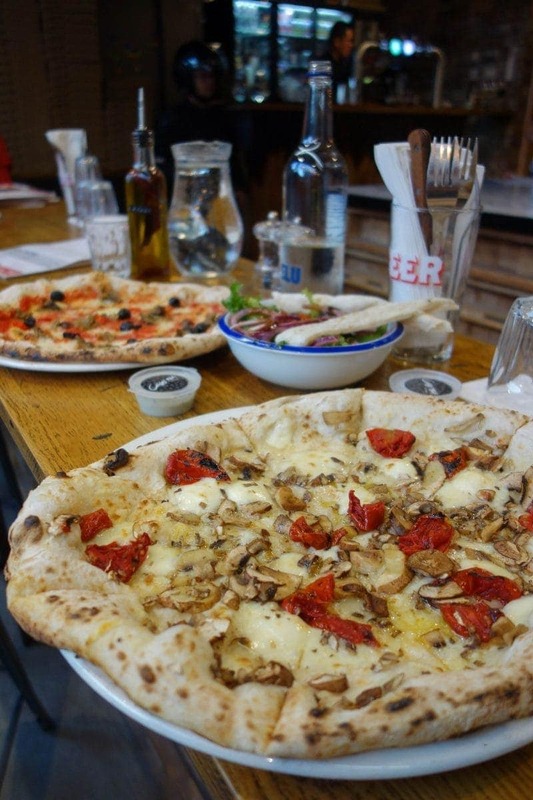 No combination is frowned upon and pizza snobbery (yes, it’s a thing) is not welcome here. It’s a simple no fuss, no frills place when you want something easy and affordable.Especially if you go for their £5 daily special. They’re just a 5-minute walk from the craziness of the Southbank which gets uber busy so put it on your list if you’re nearby or going to the Old Vic Theatre nearby. Next Post I Tried London’s Best Cookie & This Is What Happened! Smokestak croquettes are the stuff of dreams, I often think about them! And oh my gosh yes to the St John’s doughnuts. I confess I’ve been something of a Bread Ahead dedicated follower, but I think I need to retry the St John ones. Yum! I miss London so much. Thanks for this incredible yummy post.